Michelle LaVaughn Robinson Obama is a lawyer, author, and the wife of the 44th President, Barack Obama. Through her initiatives as First Lady, she has become a role model for women and girls, and an advocate for healthy families, service members and their families, higher education, and international adolescent girls’ education. She will appear at the opening general session of the 2018 American Library Association (ALA) Annual Conference and Exhibition on Friday, June 22, 4:00—5:30 pm, at the Ernest N. Morial Convention Center in New Orleans. 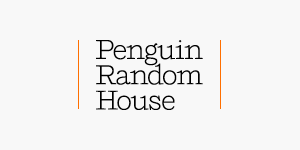 Her appearance at the conference is sponsored by Penguin Random House. [caption id="attachment_112390" align="alignright" width="214"] Michelle Obama, Credit David Slijper[/caption] Former First Lady Michelle Obama’s much-anticipated memoir, BECOMING, will be published in the U.S. and Canada on November 13, 2018, by Crown, and will be released simultaneously in 24 languages. Considered one of the most popular First Ladies of recent times, Mrs. Obama in her book invites readers into her world, chronicling the experiences that have shaped her—from her childhood on the South Side of Chicago to her years as an executive balancing the demands of motherhood and work to her time spent at the world’s most famous address. Warm, wise, and revelatory, BECOMING is the deeply personal reckoning of a woman of soul and substance who has steadily defied expectations—and whose story inspires us to do the same. Michelle Obama has described writing BECOMING as “a deeply personal experience. It has allowed me, for the very first time, the space to honestly reflect on the unexpected trajectory of my life. I hope my journey inspires readers to find the courage to become whoever they aspire to be. I can’t wait to share my story.” A product of Chicago public schools, Obama studied sociology and African-American studies at Princeton University and is a graduate of Harvard Law School. Mrs. Obama started her career as an attorney at the Chicago law firm Sidley & Austin, where she met her future husband, Barack Obama. She later worked in the Chicago mayor’s office, at the University of Chicago, and at the University of Chicago Medical Center. Mrs. Obama also founded the Chicago chapter of Public Allies, an organization that prepares young people for careers in public service. For more information, visit the ALA Conference website. BECOMING, the memoir by Michelle Obama, will be published in the U.S. and Canada on November 13, 2018, by the Crown Publishing Group/Penguin Random House. There will be a simultaneous publication of the book in 24 languages worldwide. A global publication date of Tuesday, November 13, 2018, has been set for the highly anticipated memoir by Michelle Obama, former First Lady of the United States of America. The news was announced on Sunday by Markus Dohle, CEO of Penguin Random House, which acquired world publishing rights to the book. Titled BECOMING, Mrs. Obama’s book will be released in the U.S. and Canada in print and digital formats by the Crown Publishing Group, a division of Penguin Random House. An audio edition of the book, read by Mrs. Obama, will be simultaneously issued in digital and physical formats by Penguin Random House Audio. BECOMING will be published simultaneously in 24 languages around the world. In a life filled with meaning and accomplishment, Michelle Obama has emerged as one of the most iconic and compelling women of our era. As First Lady of the United States of America—the first African-American to serve in that role—she helped create the most welcoming and inclusive White House in history, while also establishing herself as a powerful advocate for women and girls in the U.S. and around the world, dramatically changing the ways that families pursue healthier and more active lives, and standing with her husband as he led America through some of its most harrowing moments. Along the way, she showed us a few dance moves, crushed Carpool Karaoke, and raised two down-to-earth daughters under an unforgiving media glare. In her memoir, a work of deep reflection and mesmerizing storytelling, Michelle Obama invites readers into her world, chronicling the experiences that have shaped her—from her childhood on the South Side of Chicago to her years as an executive balancing the demands of motherhood and work, to her time spent at the world’s most famous address. With unerring honesty and lively wit, she describes her triumphs and her disappointments, both public and private, telling her full story as she has lived it—in her own words and on her own terms. Warm, wise, and revelatory, BECOMING is an unusually intimate reckoning from a woman of soul and substance who has steadily defied expectations—and whose story inspires us to do the same. Said Mrs. Obama, “Writing BECOMING has been a deeply personal experience. It has allowed me, for the very first time, the space to honestly reflect on the unexpected trajectory of my life. In this book, I talk about my roots and how a little girl from the South Side of Chicago found her voice and developed the strength to use it to empower others. I hope my journey inspires readers to find the courage to become whoever they aspire to be. I can’t wait to share my story.” At the time of publication, Mrs. Obama will embark on a U.S. and international book tour, with details to be announced at a later date. Information about the book is available to consumers at www.becomingmichelleobama.com. The print edition will carry a suggested list price of $32.50 in the U.S. and $40.00 in Canada and the digital edition will be priced at $14.99 in the U.S. and $18.99 in Canada. 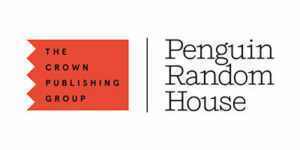 In support of the mission of The Obama Foundation and Penguin Random House’s own commitment to social responsibility, the company will donate one million books in the Obama family’s name to First Book, a longstanding Penguin Random House nonprofit partner and the Washington, D.C.–based partner for the 2016 White House digital education initiative, Open eBooks. First Book is dedicated to promoting equal access to education by providing new books, learning materials, and other essentials to children in need in the U.S. and Canada. An English-language edition of BECOMING will be published in the UK and British Commonwealth territories by Viking, an imprint of Penguin Books at Penguin Random House UK. The book will be published in translation in 23 other languages, including Spanish (Plaza & Janés/Penguin Random House Grupo Editorial); German (Goldmann Verlag/Verlagsgruppe Random House); Portuguese Brazil (Objetiva/Companhia das Letras); Portuguese Portugal (Objectiva/Penguin Random House Portugal); Catalan (Rosa dels Vents/Penguin Random House Grupo Editorial); French (Editions Fayard); Albanian (Dudaj Publishing); Arabic (Hachette Antoine/Naufal); Complex Chinese (Business Weekly Group); Czech (Argo); Danish (Lindhardt og Ringhof); Dutch (Hollands Diep); Finnish (Otava Publishing Company); Greek (Athens Bookstore Publications); Hebrew (Yedioth Books); Hungarian (HVG Publishing Co.); Italian (Garzanti); Japanese (Shueisha); Korean (Woongjin Think Big Co., Ltd.); Lithuanian (Alma Littera); Norwegian (Cappelen Damm); Polish (Agora Publishing House); Swedish (Bokförlaget Forum); and Vietnamese (First News – Tri Viet Publishing Co., Ltd.). 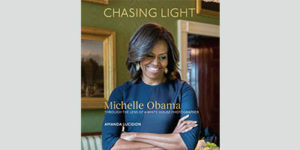 CHASING LIGHT: Michelle Obama Through the Lens of a White House Photographer by Amanda Lucidon, was published by Ten Speed Press, a Crown Publishing Group imprint, on Tuesday, October 17. This collection of striking and intimate photographs of Michelle Obama—many never before seen—is coupled with personal reflections and behind-the-scenes stories from former Official White House Photographer Amanda Lucidon, presented in a deluxe format. Ms. Lucidon, who spent four years covering the First Lady, shares a rare insider’s perspective, from documenting life at the White House to covering domestic and overseas travel. Ten Speed Press Editor Kaitlin Ketchum opens a number of windows into the process of creating and publishing CHASING LIGHT in her responses to the following questions: What was involved in the process of working with Amanda Lucidon and your TSP colleagues throughout the editorial, design and production process? 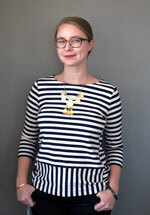 [caption id="attachment_8129" align="alignright" width="150"] Kaitlin Ketchum[/caption] Ten Speed’s book-making process is super creative and highly collaborative—it’s one of the reasons I love working here. Since CHASING LIGHT was a highly illustrated book on a very tight schedule—I acquired it in April, the manuscript was due in May, and we went to print in August to go on sale in October—working closely and collaboratively with Amanda, Creative Director Emma Campion, Senior Production Designer Mari Gill, and Production Manager Jane Chinn, was crucial to our ability to move fast. Thankfully, Amanda was a joy to work with, and her background as a White House Photographer meant she was fearless in the face of tight timelines and quick turnarounds! In addition to working long-distance throughout the book-making process, we were fortunate to have Amanda spend a week at the Ten Speed office in California to work side-by-side with our team on the manuscript, photo selects, layout, cover, and color testing. We spread out every photo we were considering for the book on a huge table, and Amanda, Emma, and I spent hours and hours moving them around, debating the selects and order for each chapter. Amanda and I even reviewed the copyedit of her manuscript at my desk, sitting hip-to-hip and making edits together. It was fantastic—if a bit tiring for us all—to be able to spend that time working so intensively with the author, brainstorming, bouncing ideas off of each other, and poring over Amanda’s incredible archive of photos from the Obama White House. [caption id="attachment_8130" align="alignleft" width="225"] Amanda Lucidon[/caption] Amanda was involved in every decision we made about the book, and she and I were talking almost daily—sometimes many times a day—for months, hammering out every detail. It was definitely the most challenging and the most rewarding book I’ve edited in my six years at Ten Speed, and the hard work was so worth it— CHASING LIGHT is a beautiful and moving book, and a lovely tribute to Mrs. Obama. What were the most rewarding aspects of bringing this book to publication? On a large scale, it’s rewarding to see CHASING LIGHT exist in the world, especially in these dark times. Mrs. Obama was, and still is, a source of light and inspiration to so many people around the world, and celebrating her legacy isn’t just nostalgic—it’s hopeful. It’s also rewarding to see Ten Speed publish such an important book. We may be small, and we may not be in New York, but we have some West Coast magic and produce books that are truly gorgeous and distinctive. It’s an honor to have CHASING LIGHT on our list. On a personal and professional level, it was a joy and an honor to work on this beautiful tribute to Mrs. Obama, and with an author as inspiring as Amanda. I’m constantly inspired by my authors, and it was wonderful to collaborate with Amanda, who is such a warm, brilliant, and genuine person (plus, she’s got some amazing stories from her time at the White House). Helping artists like Amanda shape their vision and bring it into the world is one of the reasons I love what I do. Crown is a part, acquired world publication rights to both books last week from the authors’ representatives, Robert Barnett and Deneen Howell of Williams & Connolly. Terms of the agreement were not disclosed. Details about the books, including their respective titles and publication dates, will be announced in the future. Crown previously published President Obama’s multimillion-copy bestsellers Dreams from My Father and The Audacity of Hope, as well as Mrs. Obama’s 2012 illustrated book about the White House kitchen garden, American Grown, which was a #1 New York Times bestseller. 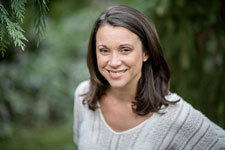 Rachel Klayman, Vice President, Executive Editor, will edit President Obama’s book for Crown. In 2004, Ms. Klayman spearheaded the paperback reissue of President Obama’s first book, Dreams from My Father, and served as his editor for The Audacity of Hope (2006). The two books have sold nearly 7 million copies to date in the U.S., and were also worldwide bestsellers. Molly Stern, Senior Vice President and Publisher of the Crown, Hogarth, Crown Archetype, Broadway Books, and Three Rivers Press imprints, will edit Mrs. Obama’s book. The publication strategy for both books will be led by Crown senior executives David Drake and Tina Constable, who have previously partnered on numerous other noteworthy publications for the Group and who have worked on the previous books by the authors. Said Ms. Mavjee, “Crown is honored to continue its publishing relationship with President Obama and Mrs. Obama, both of whom are transformative figures in today’s world. They will write deeply inspiring and illuminating books that draw upon their rich personal experience and dedicated public service. Each publication will be a historic event.” In support of the mission of The Obama Foundation and Penguin Random House’s own commitment to social responsibility, the company will donate one million books in the Obama family’s name to First Book, a longstanding Penguin Random House nonprofit partner and the Washington, DC–based partner for the 2016 White House digital education initiative, Open eBooks. First Book is dedicated to promoting equal access to education by providing new books, learning materials, and other essentials to children in need in the United States and Canada. Consistent with their past practice, the Obamas also plan to donate a significant portion of their author proceeds to charity, including the Obama Foundation. President and Mrs. Obama respectively. Terms of the agreement, in which the authors were represented by Robert Barnett and Deneen Howell of Williams & Connolly, were not disclosed. In support of the mission of The Obama Foundation and Penguin Random House's own commitment to social responsibility, the company will donate one million books in the Obama family's name to First Book, a longstanding Penguin Random House non-profit partner and the Washington, DC-based partner for the 2016 White House digital education initiative, Open eBooks. First Book is dedicated to promoting equal access to education by providing new books, learning materials, and other essentials to children in need in the United States and Canada. Consistent with their past practice, the Obamas also plan to donate a significant portion of their author proceeds to charity, including the Obama Foundation. Markus Dohle said: "We are absolutely thrilled to continue our publishing partnership with President and Mrs. Obama. With their words and their leadership, they changed the world, and every day, with the books we publish at Penguin Random House, we strive to do the same. Now, we are very much looking forward to working together with President and Mrs. Obama to make each of their books global publishing events of unprecedented scope and significance."